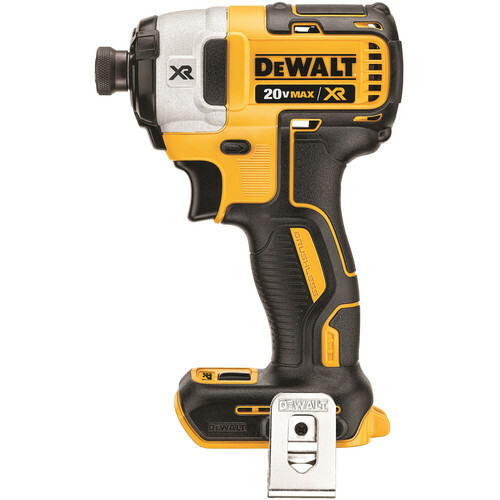 With a high power, high efficiency brushless motor, the DeWALT 20V MAX XR Cordless Lithium-Ion 3-Speed Hammer Drill delivers up to 57% more run time over tools with brushed motors. 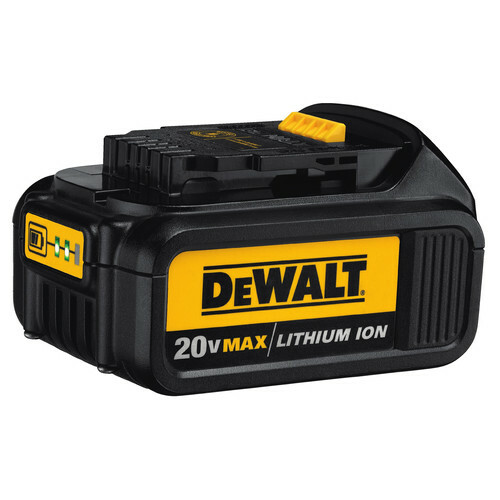 Complete with two 20V MAX XR High Capacity 5.0 Ah Li-Ion Batteries, this unit provides 33% more capacity over standard packs. This is not my first DeWalt, but it is the first brushless. I absolutely love it. I cannot believe the power it has. The new Brusheless system make it so much easier to work Powerful and light weight easy to handle, the light is very strong and helpful when you don’t have a flash light hanging around and now with the new 60v battery i can work for days without worry about the battery dying just great system. Weightless powerful easy to handle just great. Even after using almost every brand my Dewalt hammer drill is still the most reliable. This product is awesome for two reasons involving control. The adjustable speed allows for appropriate power. The side handle gives you improved manuverability. I’m what would be considered a lite duty user but know I can always count on dewalt. My sons, nephews and dad all like to build things and rely heavily on dewalt. I actually won this at a trade show and was excited to receive what I knew was a quality tool!! I use this drill for work and play. I have used these hammer drills daily since they came out. I've been so impressed I've bought three of them so I can have one at the house one at the shop and one in the work truck. I use one for ice fishing in the winter. It works like a champ and is almost noiseless turning an 8" ice auger bit. It drills countless holes as I move around the lake and it's never had any issues like a gas auger. No fuel spills not a single carburetor problem. No endless pulling to start it, just pick it up and pull the trigger. I bought this last week and it has exceeded my expectations, if your on the fence about it just buy it and thank me later. What more can you ask for? I've never had this drill bog down. can the dewalt dcd996p2 hammer drill be used as a regular drill also ? Just bought a brand new DCD996-p2 drill, however, ALL bits wobble, no matter how small or big the drill ( all brand new dewalt titanium bits) This is already my 2nd attempt in purchasing this item from different sources, and both presented the same problem. My original XRP-DCD970 type 1 never presented this problem until recently. It always ran TRUE. I do a lot of precision drilling and wobbling is not an option. Please Help.....?